Linear ball bearing and guideway assemblies represent the most extensive and complex group within the range of monorail guidance systems. They are used where linear guidance systems with high load-carrying capacity and rigidity must move heavy loads with high running and positional accuracy as well as low friction. The guidance systems are preloaded and are suitable for long, unlimited stroke lengths. Depending on the operating conditions, acceleration values up to 150 m/s2 and speeds up to 360 m/minute are possible. A guidance system comprises at least one carriage with rolling elements, a guideway and one or two-piece plastic or brass closing plugs. 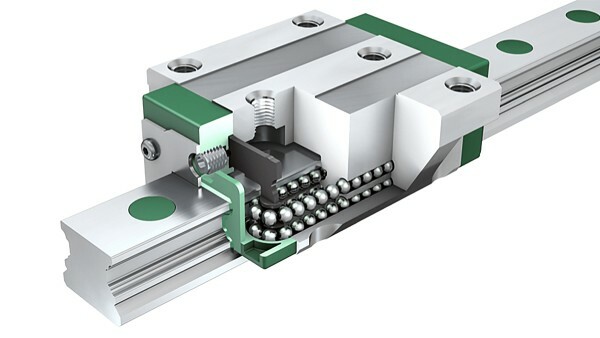 Four-row KUVE linear recirculating ball bearing and guideway assemblies are the range of monorail guidance systems from INA that are most versatile and have been expanded to the greatest extent. These units comprise at least one carriage with a full complement ball system, a guideway, integral elastic wipers on the end faces of the carriage, sealing strips on the upper and lower sides of the carriage and plastic closing plugs. 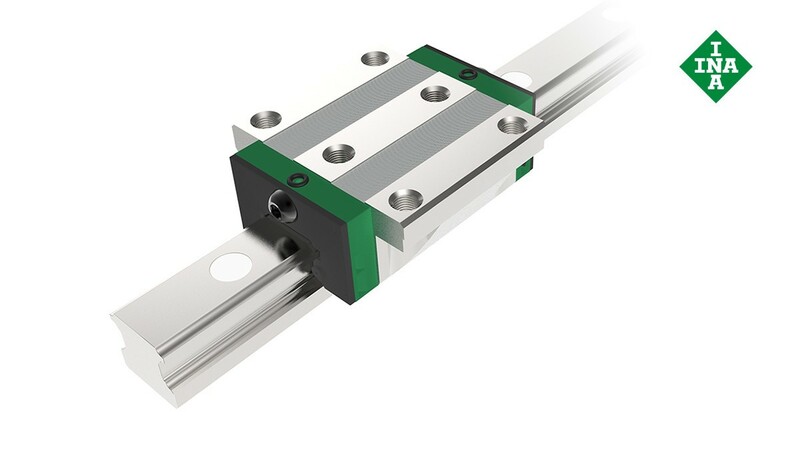 KUVE linear recirculating ball bearing and guideway assemblies are suitable for acceleration values up to 150 m/s2, speeds up to 300 m/min. and operating temperatures ranging from -10 °C to +100 °C. They are used in applications involving long, unlimited stroke lengths, high loads, high rigidity and low friction. 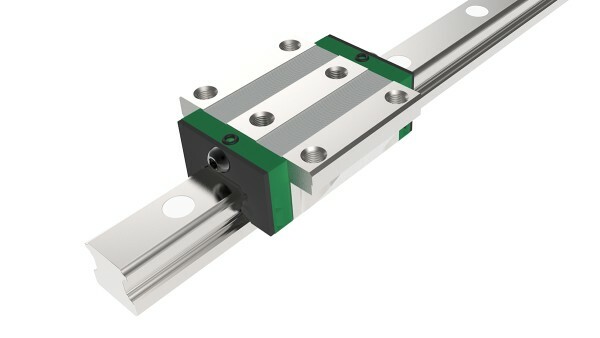 The units are also available in a variant with optimized noise characteristics and in X-life quality. Six-row KUSE linear recirculating ball bearing and guideway assemblies are the guidance systems based on balls with the highest load-carrying capacity and rigidity. They comprise at least one carriage with a full complement ball system, a guideway, integral elastic wipers on the end faces of the carriage, sealing strips on the underside of the carriage and plastic closing plugs. KUSE linear recirculating ball bearing and guideway assemblies are suitable for acceleration values up to 150 m/s2, speeds up to 300 m/min. and operating temperatures ranging from -10 °C to +100 °C. They are used in applications involving long, unlimited stroke lengths, high to very high loads and high to very high rigidity.